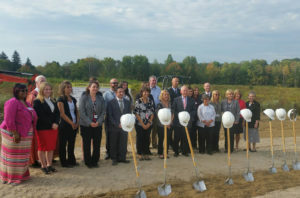 Scheduled for completion in the fall of 2018, the project will offer a full range of senior care living within one interconnected facility. Designed by Andrews Architects to provide three distinct areas for independent living, assisted living, and memory care, the facility will also offer numerous common areas for dining, activities, and other amenities. A new chapel will serve as a prominent architectural focal point for this faith-based organization. In addition to Andrews Architects, Signet Real Estate Group is the Owner and Developer for the project, with St. Edward operating the facility once opened. Additional project partners include Hplex Solutions and Pride One Construction.